We inspire and develop you on the snow and like to make your ski holiday a fantastic memory! Geilo Ski school is built around it`s incredible team, with experienced, professional and dedicated ski and snowboard instructors. We set high demands on education and knowledge for our instructors. We all have three important things in common – passion for skiing and snowboarding, we love to teach and share the enjoyment of snowsports. Alpine skiing, Snowboarding , Telemark skiing, Cross country skiing and skiing/snowboarding for disabled. - It`s all about you! Geilo Ski school ski and snowboard instructors will tailor the lessons according to your wishes and needs. Get tips on what you need to do to develop as a skier and remember, it’s often the small adjustments in the skiing technique that makes the biggest changes. education and knowledge for our instructors. 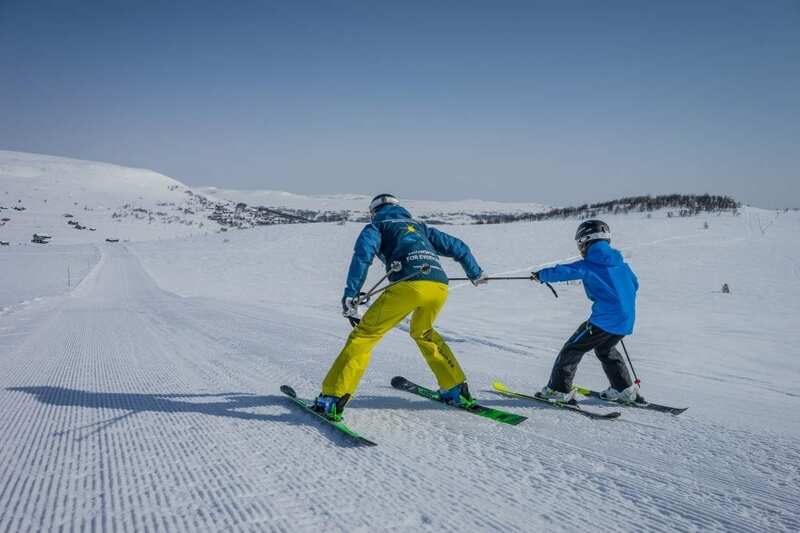 Geilo Ski school offer group courses for both children and adults, Monday to Thursday. Our groups are small and we offer 4 levels, beginner to advanced. All courses are tailored to the student’s skill level and abilities. Geilo Adaptive - Snowsport For Everyone! provide an adaptive program in Geilo. We can always get better at skiing! Are you an experienced skier who like to dig deep into the technique of skiing? Are you looking for an instructor full of energy and enthusiasm, or do you need an instructor with patience and understanding? When booking a private instructor we focus on finding the right match for you!